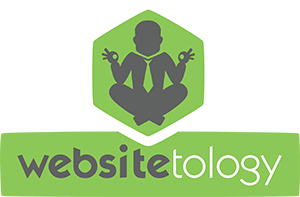 Websitetology – WordPress is broken! Help! Switch your FTP Server from Pure-FTPor similar FTP to ProFTP. For some reason WordPress doesn’apos;t agree with the FTP server that cPanel uses by default. via WordPress â€º Support Â» 3.0 Plugin Upgrade Bug? Could Not Create Directory. However with the WP upgrade- itâ€™s not getting hung up in the upgrades folder. Manually update it- which means using an FTP program.We like Transmit on the Mac, but you can also use the free FireFTP plugin for Firefox. via WordPress 3.0.1 auto-update failures. The best news about changing the FTP program on the server is that it’s WAY FASTER. WordPress 3.0.1 fails with auto update- on our server, every time. Haven’t figured out what causes it- other than possibility of some problem with Fantastico installs. However with the WP upgrade- it’s not getting hung up in the upgrades folder. Download the new version- and then copy every file except the WP-content folder over on top of your old files- and replace. When you do anything in WP-admin – it will prompt you to update the database. After that – if it still says it’s in maintenance mode- delete the .maintenance file in your root directory. The 2.5.1 update didn’t fix them- but, at this point, enough people have griped that the development team has to know they laid an egg with this part. I was quite eager to try the add media functions in v2.5, but it seems either I am missing something or there are some fundamental problems. This seems fundamentally broken. I cannot believe that any user would expect that this would only create a link to a video rather than embedding the actual video. The only good news seems to be that using YouTubes embed code now works in a post without needing to use a plug-in like Easy Tube. While this works–and the ability to upload multiple images is a plus–the interface to produce even basic functionality seems to have taken a step backwards. Case in point: I wanted to upload an image and have it right-justified with text wrapping around it. I had to go through no less than three dialogue boxes to achieve this. Step 1: A box for uploading the image and adding ALT text. Step 2: Requires the user to then click on Gallery for the ability to edit ALT text again, plus set image link, size and basic justification. I am not sure why this cant be rolled into the first step and I am not sure why all the options for justification cant be included here. Step 3: In order to get the text to wrap, I then need to select the places image, click on the Image button, which pops up a dialogue box similar to what we had in the previous version, which gives the kind of control over the image that SHOULD be in Step 2. And, oddly, the justification selected in Step 2 is not reflected in this dialogue box. With 2.5, its suddenly more clicks and LESS intuitive than it was before to perform a pretty basic use of an image in a post. It really does seem like at least one of these three steps could be eliminated. In the end, I can get what I want, but now its more involved than it used to be, with a workflow that is not at first obvious. I have not tried these yet, but fear that Audio will produce similar results to video. And its not entirely clear what “Add Media” is for. Flash content? Something else? But my real issue is with video and these extra steps in just using simple images. Unless someone can show me that I am missing something here. Any help welcome. If you follow the link, there are some good comments- including mention of the “Flexible Upload” plug in which we are about to start testing. For the more colorful post- I can’t even post the link- go here.